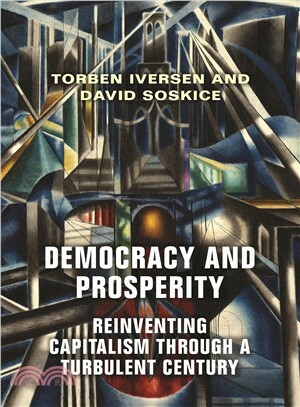 For all the chaos and upheaval over the past century—major wars, economic crises, massive social change, and technological revolutions—Torben Iversen and David Soskice show how democratic states continuously reinvent their economies through massive public investment in research and education, by imposing competitive product markets and cooperation in the workplace, and by securing macroeconomic discipline as the preconditions for innovation and the promotion of the advanced sectors of the economy. Critically, this investment has generated vast numbers of well-paying jobs for the middle classes and their children, focusing the aims of aspirational families, and in turn providing electoral support for parties. Gains at the top have also been shared with the middle (though not the bottom) through a large welfare state. Torben Iversen is the Harold Hitchings Burbank Professor of Political Economy at Harvard University. His research and teaching interests include comparative political economy, electoral politics, and applied formal theory. He is author of Contested Economic Institutions (Cambridge, 1999) and Capitalism, Democracy, and Welfare (Cambridge, 2005) and co-author of Women, Work, and Politics: The Political Economy of Gender Inequality (Yale, 2010).